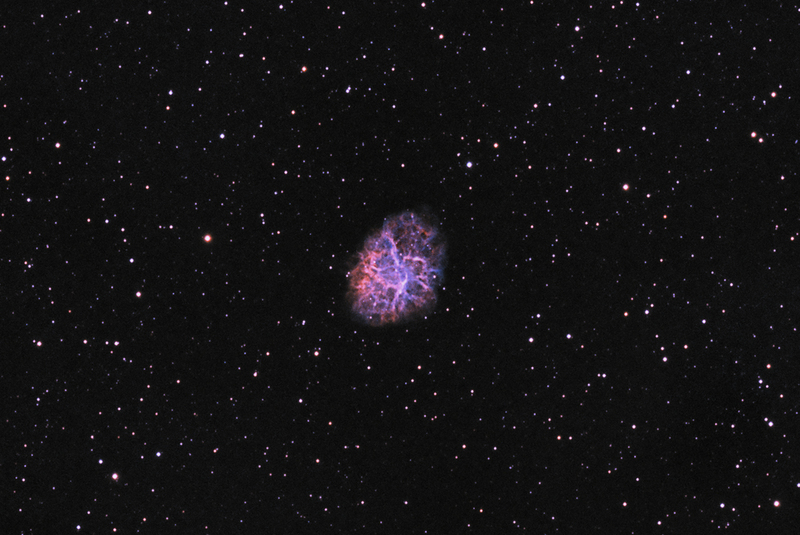 Messier 1, or the Crab Nebula, is a supernova remnant and pulsar wind nebula in the constellation of Taurus. 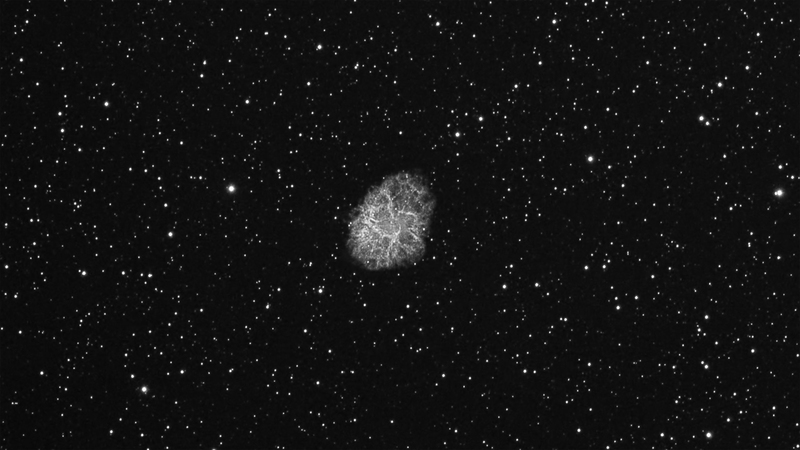 It is corresponds to a bright supernova recorded by Chinese astronomers in 1054. At an apparent magnitude of 8.4 it is not visible to the naked eye. Located at a distance of about 6,500 light-years from Earth, the nebula has a diameter of 11 light years and expands at a rate of about 1,500 kilometers per second. At the center of the nebula lies the Crab Pulsar, a neutron star 28–30 kilometres across with a spin rate of 30 times per second. 12 * 900sec, filter Ha Baader 7nm.